Thank you to Klaus-Josef Rossfeldt for advising me to include Hull who became the Chief Stylist of Rolls-Royce. 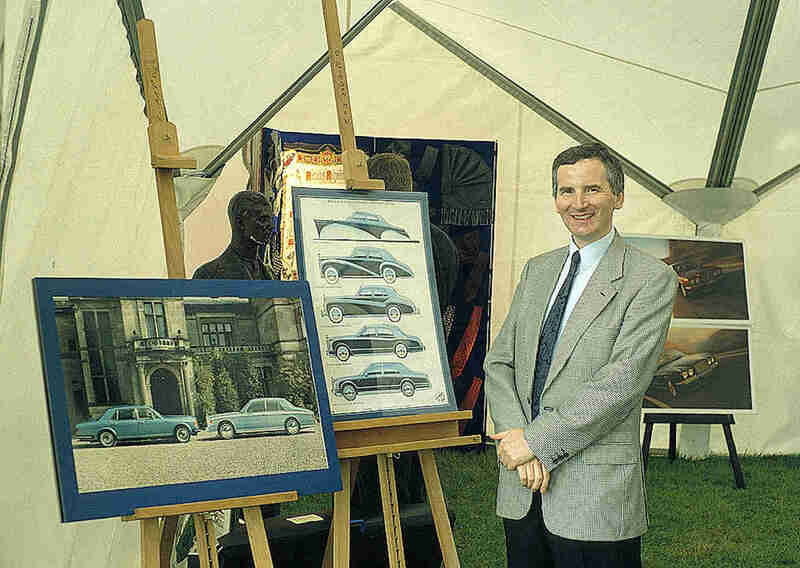 His work with examples of his art is covered in his book "Inside the Rolls-Royce & Bentley Styling Department 1971 - 2002"
Inside the Rolls-Royce & Bentley Styling Department 1971 - 2002 By Graham Hull - Veloce Books 2004. Graham Hull with some of his stylings. Image courtesy of Klaus-Josef Rossfeldt.